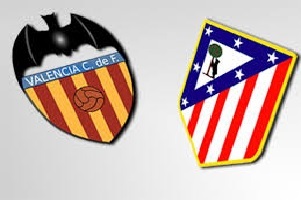 Valencia will face Atletico Madrid on Sunday in the Spanish Primera Division. Gary Neville's team has performed better the last couple of weeks, after the horrible start of the season. They have picked up a few wins against the weaker sides, but Bilbao was a real test for them during that time and they lost 3-0 at home. Atletico is winning their games, while not conceding goals. Diego Simeone is a coach that is playing for the win no matter what.. They are on the 2nd place in the league and the away stats show great 10-1-3. I was surprised to see such high odds for Atletico win. No matter how Valencia will approach this game, they will face challenges that can not be overcome.